exposarazzi: Look who's giving Tori Spelling a run for her money--Survivor winner Amber Brkich! Look who's giving Tori Spelling a run for her money--Survivor winner Amber Brkich! 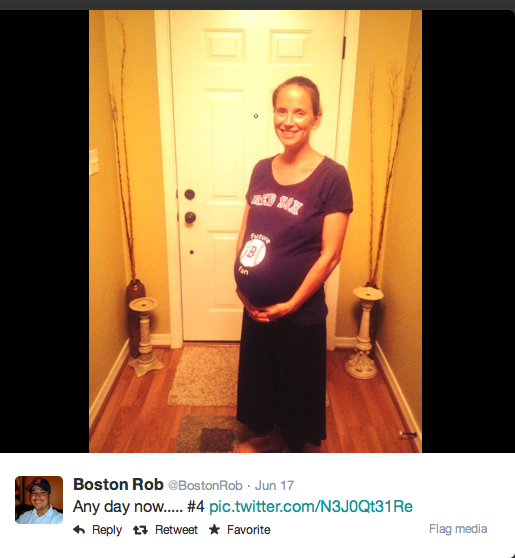 Amber and her husband "Boston Rob" Mariano already have three daughters, Lucia, 4, Carina, 3, Isabetta Rose, 2, and baby [boy?] #4 any day now!